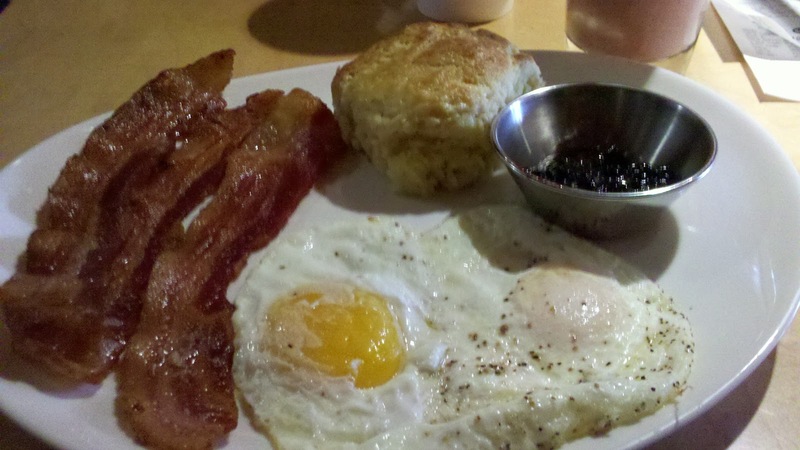 North Star Cafe is located in the Short North section of Columbus and offers a very holistic approach to food. The creative menu options and fresh ingredients shine in this popular dining spot. Due to the chilly weather, we opted to sit inside which has a very coffeehouse kind of feel to it. 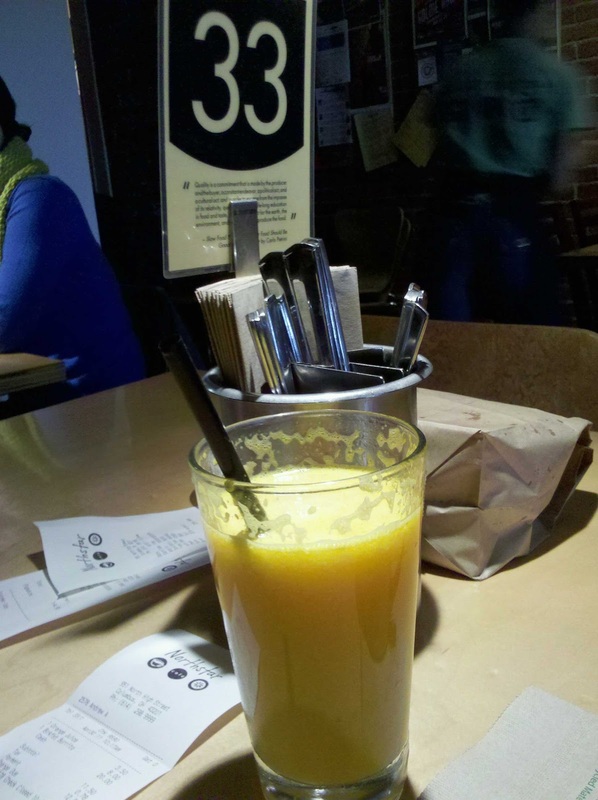 After placing our orders at the counter, I was quickly served with my fresh squeezed orange juice and we proceeded to find one of the only open tables. My breakfast was very different – not a typical breakfast. 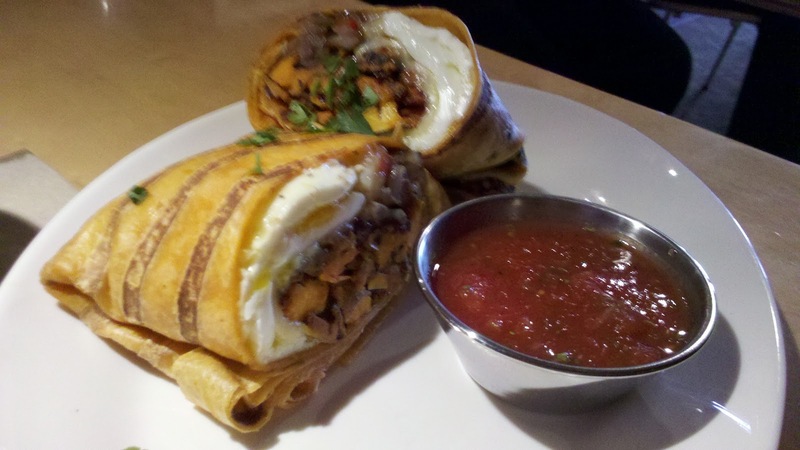 It was the Big Burrito, which contains egg, sweet potato, black beans and some fresh herbs. After stuffed and slightly grilled, the wrap is cut in half and served with some salsa. TasteBudA ordered a Cowboy Breakfast. Now, Pittsburghers, this breakfast may not look like it stacks up to the big breakfast options around our city, but TasteBudA finished all but one strip of bacon and gave up. Perhaps it was the Michigan black cheery preserves on his big biscuit or the Strawberry smoothie that filled him up – either way, he left a very happy camper.